I thought I would share some photos from our recent trip away. We went camping for the first time as a family over the August bank holiday weekend. My husband Karl used to go camping as a family all the time when he was growing up, but it was a completely new experience for me. I’ve stayed in little shacks with no electricity when I went backpacking, but never a tent. I really had no idea whether I would love it or hate it! As it was my first time, we thought we’d break me in gently so we hired a couple of tipis with some friends at Sussex Tipis. When we arrived it was absolutely pouring and so the men had to cook under umbrellas that night and 8 of us had to cram into one tipi so we could eat together! That wasn’t quite what I had imagined, but it meant when the sun finally did come out on day 3 we really did appreciate it! These photos below were all shot with my non-professional kit which I always take on holiday. It consists of a Canon 400d which is about 5 years old, and all of these were taken with the Sigma 18-50mm F2.8 lens. I also had the Canon 50mm F1.8 with me, but as the boys were all running around so much the zoom lens did give me a bit more flexibility so I tended to have that on my camera most of the time. I shot most of these either early in the morning buy amoxil when the sun was still low in the sky and I could shoot directly into it, or when it was cloudy. In August the sun goes very high in the sky in the middle of the day, so you really want to be shooting before 10am or after 5pm otherwise you’ll get harsh shadows and squinty eyes! All of these photos have very little post-production work done on them, just a bit of cropping and a boost of contrast where necessary. I try to get things right in camera so I’m not spending hours in front of my computer editing my family photos! Once the sun came out we had an amazing time and the boys just had a blast with their chums as you can see from the photos. We went out on day trips to Bodiam Castle, on a steam train and to the seaside. If you’re a 4 year old boy, holidays don’t really get much better than that! And us grown ups had a great time too. Nothing beats getting the kids settled down in bed, then setting the world to rights round a campfire whilst drinking red wine out of tin mugs! 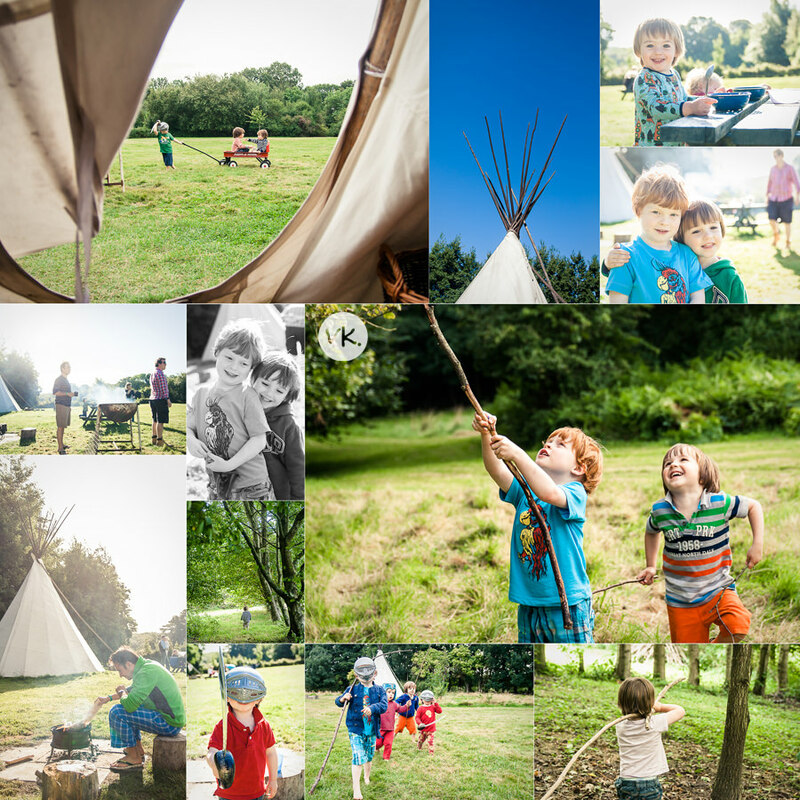 We’ve already started looking at places we can go camping in more tipis and yurts next year. I’m definitely a camping convert! I hope you enjoyed having a peek at my holiday snaps. 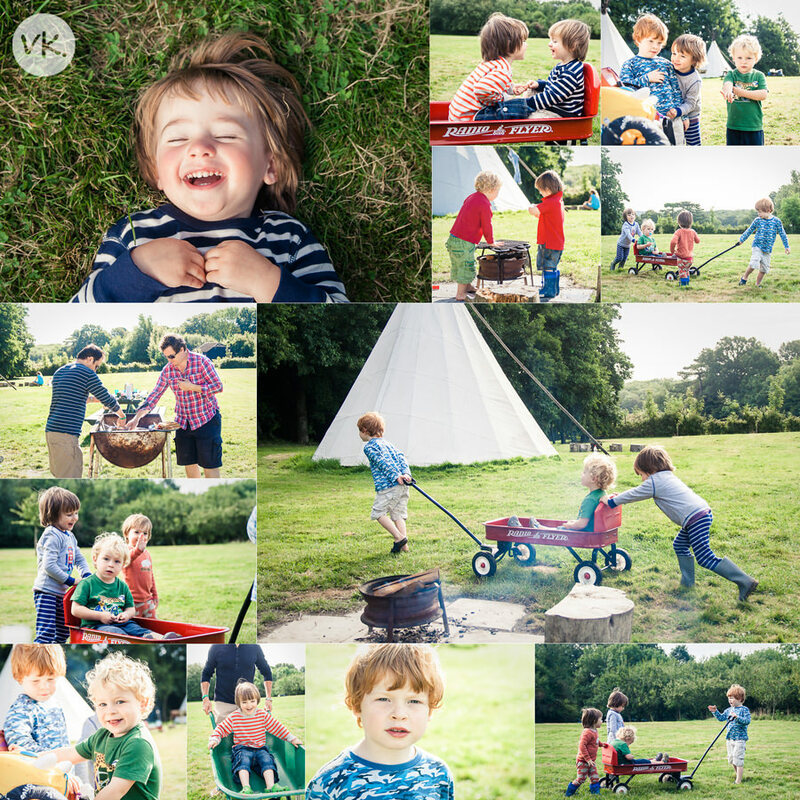 Oh and if you haven’t already seen it, please check out my exciting new website for my family photography work. I love it, I hope you do too!